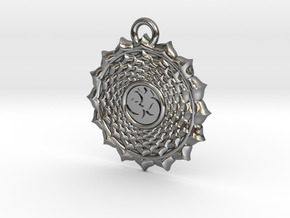 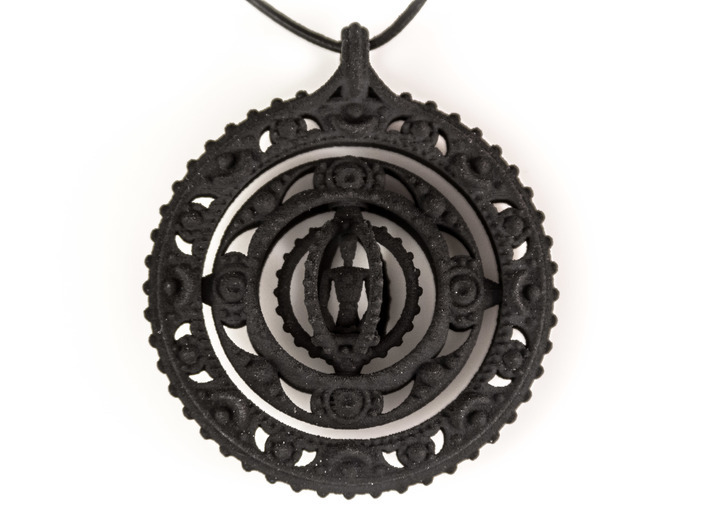 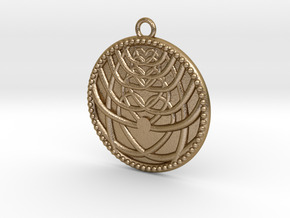 This decorated gyroscope like pendant can freely rotate and spin on 2 axles. 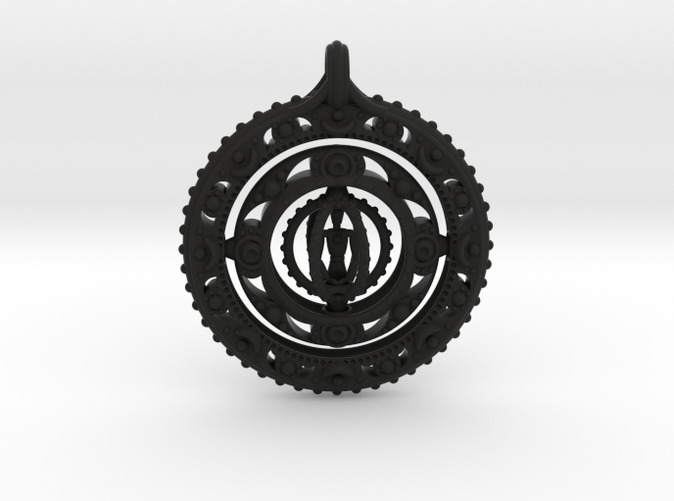 This pendent was inspired by my personal practice of yoga and meditation, this piece looks at the concept of trying to stay centered in an ever changing world. 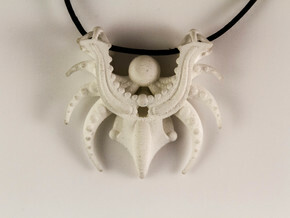 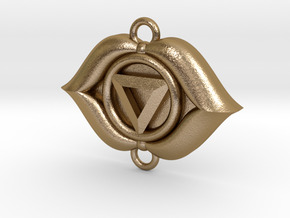 The pendent comes out great in the strong plastics offered by shapeways.